One Tbs of Scraped Coconut. Peel the skin of the raw bananas and dice them in to big pieces.Boil them with salt,turmeric powder and tamarind paste or 1/4 cup tamarind water(add to the boiling vegetable)add enough salt so that it right even after straining. Let it boil till it is really soft because sometimes raw banana gets hard after a while.strain it and keep it aside. Heat coconut oil in the pan crackle mustard seeds,add urad dal,channa dal and the green and red chillies.let the dal brown add curry leaves and asafoetida. Add the boiled pieces and saute for a minute and add scraped coconut and mix well. 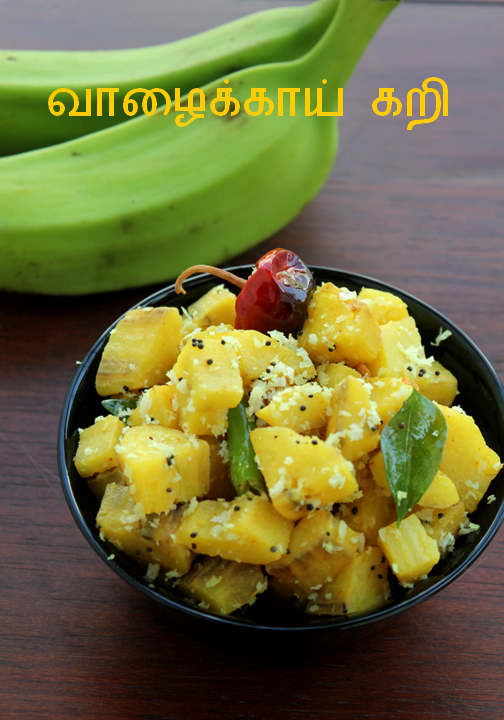 Transfer in to a serving bowl and serve with any kind of sambar. Using coconut oil gives a special aroma. Mmm... looks so delicious! I'm glad you're using coconut oil for most of your recipes. I love it and will definitely try this recipe soon! I *love* your recipes and am dying to try this. But I'm not South Indian and am not quite sure what you mean by "raw banana." Raw, in English, simply means uncooked. Do you mean green banana (unripened)? Or perhaps it is what is known as a plantain, which is what the picture looks like and which is starchy and never sweetens when fully ripe. Please help me, as I can't wait to try this! yummy. Its lunch time here and you are making me feel more hungry. Yes Mrrphh it is unripened banana. Banana curry looks fabulous Jaya...Great work..I'm following you..
wow Uma this recipe is great, I live in Chennai and I am familiar with the taste of this dish, but have never tried it out! now i can try it from your recipe! 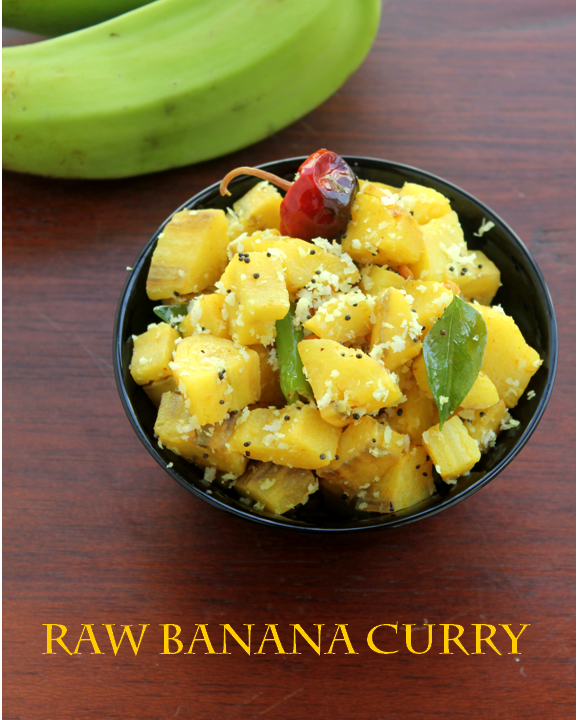 Thank you for the raw banana curry recipe. It was easy to make and turned out good.